The Condors broadcast partner for the 2018-19 season is Fox Sports Radio 970, who will air ALL 68 regular season Condors games on Fox Sports Radio 970 AM. This marks the eighth season that the Condors and Fox Sports 970 AM have teamed up. All games, home and away, will also be carried live on the Fox Sports Radio website at www.foxsports970am.com – and through iheartradio (more information below). Listen on your phone! Fox Sports 970 will also broadcast each and every game, live, through an innovative smart phone application called iheartradio. The iheartradio app, downloadable on mobile devices, allows fans to tune into games wherever they are, even outside the immediate Bakersfield radio market. For more information on the iheartradio application, downloading instructions or compatible devices, log on to www.foxsports970am.com. 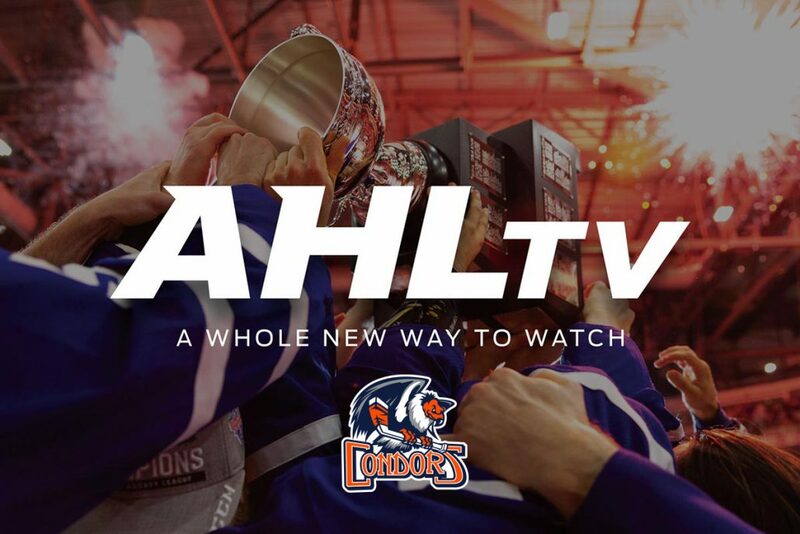 All Condors games, in their entirety, will be streamed live via www.foxsports970am.com. All webcasts through the Fox Sports 970 website are free of charge.